VRTS section members Bruce Bloom and James Williams presented at the Council of Parent Attorneys and Advocates Conference earlier in March. 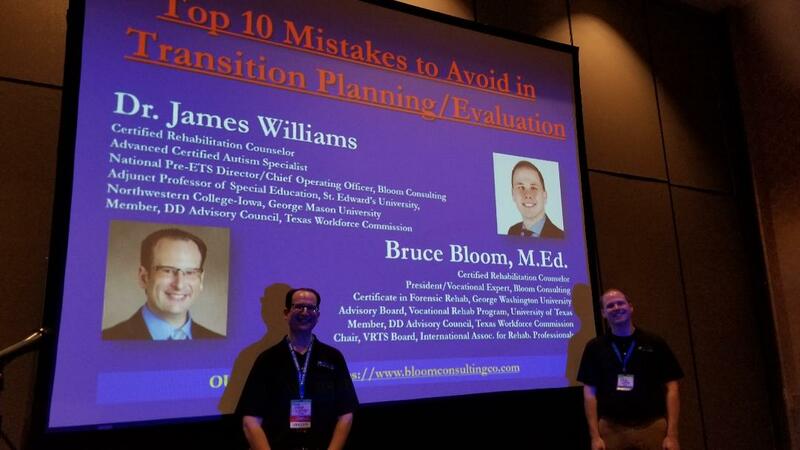 Their presentation, Top 10 Mistakes to Avoid in Transition Planning/Evaluation was presented to a full room. VRTS Chair, Bruce Bloom states that they received positive feedback from the attendees and he feels that those that advocate for special education students are starting to recognize the role that vocational rehabilitation professionals should have in transition planning. I am really eager to review the presentation Bruce and James presented. Is this a possible?